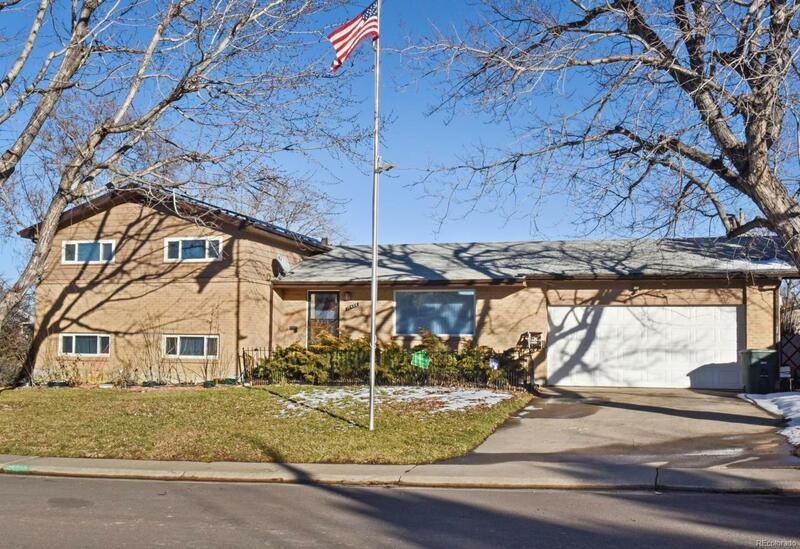 Classic, brick tri-level house in Northglenn priced to sell! This house sits on nearly a quarter acre of land! Home is just a block from Croke Reservoir, Hugh Danahy Park, shopping, restaurants & gas stations! Quick access to I-25 to commute to Denver or Boulder. Large backyard with a covered, cement patio and plenty of lawn space, perfect for entertaining! Solar panels for huge energy bill savings! Travertine tile in entry and kitchen. Hardwood floors on main and upper levels; carpet on lower level. Open concept living room flows into dining area. Kitchen has cherry cabinets, black appliances, mosaic backsplash, serving bar & room for a table. Kitchen and adjacent dining area both have doors to backyard. Lower level includes family room, laundry room, bedroom and bathroom. Upper level has 3 bedrooms that share full hall bath with double vanities. Great opportunity!